The Dobrava cemetery was established in 1985 with the intention of becoming the main cemetery of Maribor. The Dobrava Cemetery was established in 1985 in the area of the Stažun forest, located on edge of the city of Maribor, and it was meant to become the main city cemetery. The central and the most prominent object at Dobrava Cemetery is the farewell facility (Seen on the picture). Next to it, there is the crematorium, which was established in 1998. The area intended for burials has a special sector for muslim graves and a grave field for scattering ashes. On the edge of the cemetery, there is a small cemetery for pets. In addition to all of the above, the most significant part of the Dobrava Cemetery is certainly the Park of Memories (Park spominov), that symbolically connects all war cemeteries in the Maribor area. It was originally designed as a landscape cemetery with smaller memorials, but this arrangement was standing out too much from the traditional Slovene cemeteries. Therefore, it became allowed to cover the graves with marble or granite slab and plant flowers. Despite the partial landscape architectural shift from the original idea, the characteristic of the Dobrava Cemetery is still grass graves and with cypresses separated grave fields. In the future, the area for burials is planned to be spread to the forest part of the cemetery. Cemetery type: A landscape cemetery, divided in the grassy area and the forest area. 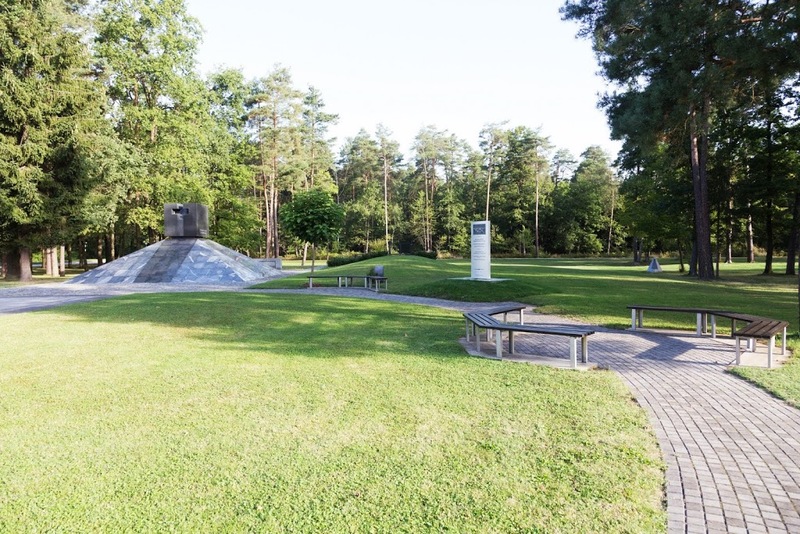 Monument of killed after 9.5.1945 (1990): It was built in memory of more than 15.000 victims who were killed in the woods in Tezno in May 1945. Grave field of victims killed in Tezno in 1945 (1999): The grave field contains ashes of mortal remains of victims who were killed out of court in 1945 in Tezno. Ossuary (2008): Underground ossuary is used for storage of mortal remains of unidentified victims of war and post-war killings in different areas of Slovenia. Grave of Dr. Eva Lovše (1914-2003): She was a recognized Slovenian doctor and the first specialist of school medicine in Maribor. For her work, Dr. Eva Lovše received the prestigious Dr. J. Potrč award in 1990 and the city seal of Maribor in 1994. Grave of Bruno Hartman (1924-2011): He was an important Slovenian librarian and one of the founders of Maribor Theatre Festival (Borštnikovo srečanje). View the The Dobrava cemetery in Maribor Slovenia in a larger map.